You'll discover tucked-away gems like Battlefield Vegas and Room Escape Games. 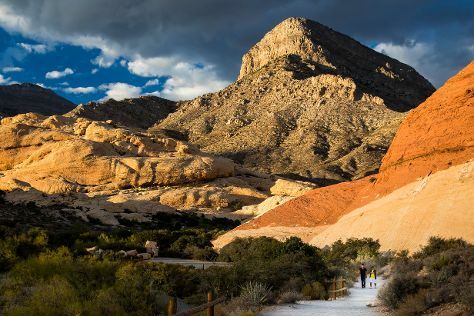 The adventure continues: explore the stunning scenery at Red Rock Canyon National Conservation Area, get a taste of the local shopping with The Strip, take in panoramic vistas at High Roller, and try your luck at Bellagio Hotel and Casino. For photos, traveler tips, reviews, and more tourist information, refer to the Las Vegas trip itinerary tool . If you are flying in from India, the closest major airports are McCarran International Airport and Laughlin Bullhead International Airport. In March in Las Vegas, expect temperatures between 27°C during the day and 13°C at night. Finish your sightseeing early on the 15th (Fri) so you can travel back home.